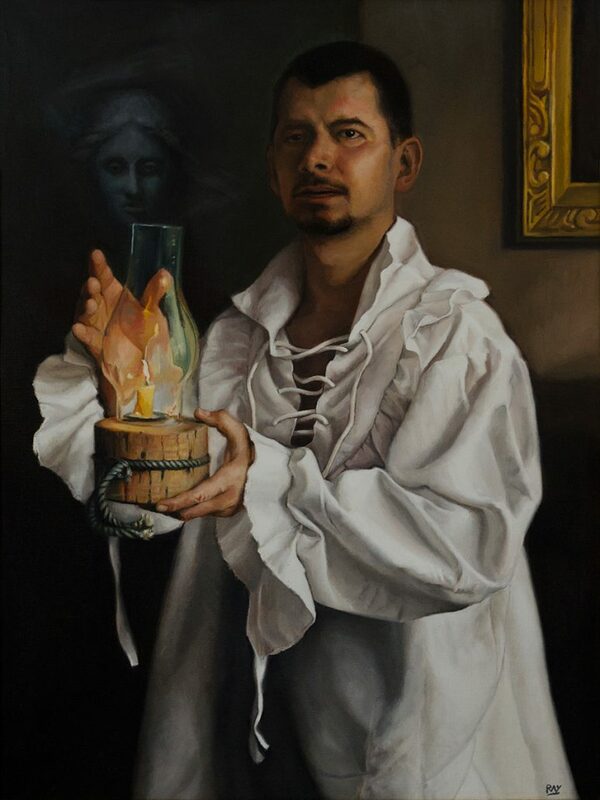 To my surprise and delight, one of my paintings has been chosen as a finalist in the 13th International ARC Salon Competition from among 3750 entries. This was my first time submitting and I wish I had done so long ago. I’m in good company with friends and fellow alumni of Toronto’s Academy of Realist Art. The painting the ARC selected is: “Disturbance”, oil on linen, 32″ x 24″. This work is one of a series of figure paintings I’m creating that depict quiet, private places with an air of mystery and intrigue. In “Disturbance”, a gentleman has been roused from his sleep by someone — or something. While investigating by candlelight, he comes across the answer. Our friend Angel posed for me in the summer of 2016, standing in front of my living room fireplace wearing a Venetian shirt. Hanging nearby was my charcoal cast drawing of Venus. It lent a ghostly presence to the scene so I decided to include it and give the figure an expression of surprise. If you want to see some great paintings, here’s a link to the list of winners and finalists from this competition… I don’t agree with many of the ARC’s choices of winners, but some of the finalists’ paintings are stunning in all respects.